It is impossible to listen to the Overtone Ensemble's eponymous second album without thinking about glass: rattling windowpanes, tuning forks on wine bottles, fingertips excruciatingly circling the rims of countless champagne flutes. Stirring together homemade aluminium instruments, re-tuned glockenspiels, bells, and other sonic ingredients, this Australian quartet kick up dense acoustic clouds of no-tone. The aptly titled "Handbells" clusters chimes, then incrementally disintegrates them into horror-flick drones. "Bowls," a sprawling void with no discernible endpoint, piles din upon din upon din. Bells and metallic reverberations clash on "Eskiphones," trailing a distinctly analogue feedback; it's the opening scene from Back to the Future, where a panoply of vintage clocks sound simultaneously, multiplied and intensified. Overtone Ensemble is among 2016's finest, most fanciful alternatives to real life as most of us must live it, most of the time. The recently released Sonambient box makes a compelling case for the sonic and visual merits of Harry Bertoia's metal sculptures. Its booklet and eleven CDs invite you to linger long in the radiant sounds and striking images of Bertoia's work, but they also raise a question -- where can this sound world lead. Overtone Ensemble offers one set of possibilities. 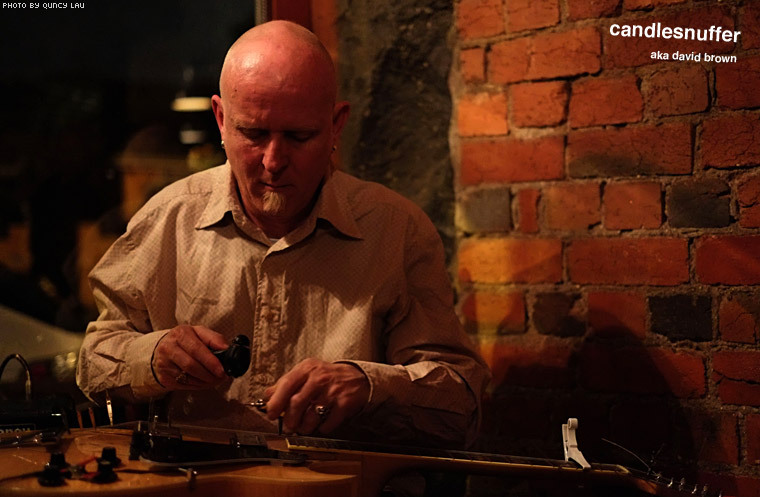 Tim Catlin has been modifying guitars and developing unconventional systems to trigger them since at least the turn of the century. But in 2012 the formed the Ensemble to play a separate family of self-devised instruments such as the scuba gong and the vibrissa. The former is a cut-down scuba tank, the latter comprises a dozen aluminum rods mounted vertically upon a frame that looks like a cross between a sawhorse and the stand that holds a pedal steel guitar. The vibrissa bears a strong visual resemblance to Bertoia's tonals, but they're made from different materials and played differently. Instead of setting flexible rods in motion and seeing what they do, Catlin and his fellow musicians stroke the vibrissa's rigid ones with their hands using motions somewhat like what you'd use to play a wine glass. And like wine glasses, vibrissae generate clouds of overtones that radiate from a fundamental tone. The first of this CD's four pieces is for vibrissae alone. Each musician coaxes a long tone from his instrument which is pitched closely enough to what the next man plays that you hear overtones not only from the instrument their collective interactions. Your appreciation will depend on your appreciation for high pitches; if your tolerance is limited, as is the case of one member of my household, you're going to want to leave the room whenever the disc is on. But if you can appreciate the nuanced interactions of Keith Rowe and Toshimaru Nakamura's recordings for Erstwhile Records, you might find a similarly exquisite attunement in the quartet's patience and precise tonal placement. This album is not just a product advertisement, though. On three subsequent pieces the ensemble incorporate the sounds of struck bowls and gongs, bowed metal, and e-bow guitars. Like Bertoia's music, these performances invite you to lose yourself in wave upon wave of enveloping vibrations. But it feels more purposeful and less confined by the limitations of its instruments. The musicians interact not only with their instruments but each other, and the fact that they can do so proposes possibilities for a living metal music. Tim Catlin's Overtone Ensemble (completed here by Atticus Bastow, Philip Brophy and David Brown) centres on his self-made instrument called a "Vibrissa": an array of vertical aluminium rods, all set to a different microtonal tuning, which emit pristine sustained tones when stroked by hand. They gleam fiercely like stars, confined to shrill pitches that beautifully evoke the slender and exact aluminium objects that instigated them, while paradoxically feeling shapeless and devoid of point of origin. The clarity of those tones is a crucial component. I'm able to witness the impression of those microtonal intersections as several rods are played at similar pitches - the tones quiver anxiously as though protesting the invasion of tonal purity, generating buzzes and circulating whistles as they grind against each other. What starts out as a vivid chorus of two or three tones soon becomes a restless junction of collision and consequence: a lightshow of instrumental sound and the strange compounds of acoustic reaction, with different pitches blazing and dimming in ballets of chaotic vibratory phenomena. Other instruments are invited to interact with the Vibrissa's sculptures of high frequency. The warm hums of singing bowl swim through the channel of air that lies just beneath, creating their own swirling images of overtone and blurred resonance. The tumultuous opening of "Eskiphones" sounds like a waterfall of liquid metal, shimmering with shades of bronze and steel as it descends, erupting into clouds of bells and chimes at the bottom. It's like a gigantic watercolour painting, in which each colour is a blotchy composite of other colours, half-blends and intimate merges of contrast. The detail to be observed within Overtone Ensemble is limitless. In order to hear it all, I have to constantly adjust the focal point of my listening, swimming through the sea of frequency at different depths and in different frames of mind (intense concentration, meditative acceptance...). 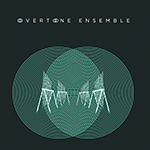 There's something exciting about the fact that I'll never comprehend Overtone Ensemble in its entirety, which is only heightened by the knowledge that even the composers themselves couldn't possibly have explored every intricate nook of their own creation. Exactly what it says on the tin. An ensemble that coaxes out the overtones from everyday or 'non-musical' objects. It's all music really. Overtone (pretty much) means just one of the frequencies that makes up a sound, but I guess the name 'Sound Group' doesn't have the same highbrow air. So far there have been 8 minutes of high-pitched sinewy sound, but it never seems to get piercing and remains in this shimmering stasis, subtly shifting as they stroke the vibrissa. Stroke the vibrissa?? What..? Well that's the instrument of course, a set of metal rods not unlike tiny versions of Harry Bertoia's monster sculptures that are apparently named after 'feline tactile hair follicles'. Probably a great joke to a Biology professor. It sort of shares similarities with Ellen Fullman and her walls of harmonics conjured from giant strings, just a lot more minimal. So deliciously minimal. Some singing bowls and wine glasses join the feline tactile hair follicles on the second one (of four), adding a percussive element like the sound from a distant wind chime repair shop. They hang there resonating atonally for a while before letting their friends bow some metals. It continues down this route, building to a glorious clatter on the third track, mysteriously billed as 'hammered percussion'. Well it's certainly not a piano is it? Anyway I'm a sucker for this kind of object resonance, but I reckon it's got a cavernous place inside everyone's music-guzzling head. Get some clatter in u.